In an evolving workplace, there is a growing trend suggesting end-of-year performance reviews are no longer effective. To remedy this, some companies have decided to utilize software to improve their process. Other companies have elected to eliminate reviews altogether. What is the most effective performance management approach? Performance reviews are often the subject of much scorn and mockery in the corporate world. In my 15 years of consulting with dozens of clients, I’ve only encountered ONE that actually considered their performance management process to be integral to employee development, and truly valuable to their company. For the rest, it was a forced exercise that did not appear to be linked to results, aside from bitterness and regret. According to a Deloitte Insights survey, 58% of the companies polled reported that they view their current performance management process as not being an effective use of time and only 8% reported that their process drives high levels of value. Why is this? Performance reviews are almost always linked to compensation. Reviewees are motivated to score themselves as highly as possible in order to secure the best possible raise for themselves. Reviewers (the managers) are pushed by the company to average out the performance rating across all individuals in a given cost center. So, for every employee considered “exceptional”, there must be one considered “underperforming”. It’s a terrible trade-off, and one that often pits managers against staff. I’ve actually had a boss ask me if I’d be OK with a sub-par rating, because he really needed to give a large raise to my co-worker in order to keep him from quitting. In order to make performance reviews effective, the direct link between reviews and compensation must be broken. This is the only way to create an environment for an honest conversation, where employees do not have to feel like they’re fighting for dollars and cents. Secondly, managers should be coached on how to provide effective feedback to employees. It’s not easy, and many managers will do anything to avoid an awkward conversation. Lastly, performance feedback should be provided on a regular basis, at least once per quarter. If you wait until the end of year to provide feedback on annual objectives, it’s way too late to correct course. Only one of my bosses throughout my career actually cared enough to provide me with constructive feedback, during performance reviews, that I could use to improve my performance. I truly valued the insightful feedback he provided. Of the others, some were not involved enough with my work to be able to provide feedback, and the rest – well, I guess they just didn’t want to get into it. I know I would have appreciated it and felt more valued as an employee, if they had. Fortunately, I am a deeply experienced manager with a track record of motivating and developing difficult employees. I know exactly how to create a team of world-class employees with outstanding engagement scores. So learning from the workplace I have put in place an annual performance review at home. I love my wife very much, she is funny, clever, tolerant and — if I say so myself — very pretty. But when it comes down to domestic chores there are a few things she really could do better at, things that would dramatically improve her output and also increase her sense of work life balance. Strength – Action focus: Proven capability to cook amazing meals during visits from your parents. B. this strength could be leveraged by cooking amazing meals when your parents are not visiting. Development – Attention to Detail: On 3 separate occasions in the last week I have had to empty the washing machine and load the tumble dryer. This is a task for which I am not responsible as it is contained within your job description (wife). Development – Completing and Finishing: Constantly distracted by fighting children whilst trying to complete simple jobs e.g. ironing. You need to develop your multitasking ability. Development – Influencing Junior Staff: Repeatedly have to shout at children in an effort to get them out of the house in time to get to school. This is a particular problem with the 15-year-old daughter. Strength – Feedback: Ability to provide strong and timely feedback to me about my personal habits, specifically in relation to nocturnal activity and time keeping. N.B. there is a risk that this strength could become overplayed. Development – Instruction: Your map reading ability is less than perfect. We have repeatedly found ourselves lost in large cities because of your inability to communicate clearly and concisely. Unfortunately last year’s investment in satellite navigation technology this has not improved performance. conversation about the developmental feedback I had collated. My “active listening techniques” fell on deaf ears. Her demeanor was downright chilly until we discussed her annual pay rise. Then she warmed up quite dramatically. I’m a big believer in linking performance appraisals to performance pay, nothing focuses attention in quite the same way as money. As I want my wife to be motivated to improve she needs to understand the consequences of poor performance. As evidenced in her appraisal her performance was below standard, so I had little choice but to hold her house keeping money at a constant level. If I had increased it I would have been accused of favoritism. When I explained this to her, my wife had the audacity to suggest that many of the things I discussed were outside of her control. She then become quite defensive and told me that I was equally accountable for household performance. I won’t try another appraisal round next year. My wife wasn’t remotely grateful for all the time and effort I put into it. Instead I think we might just have a chat every now and then about the children. It might be more productive. If performance appraisals go badly at home, why on earth do we think they will go well at work? We humans are funny creatures. We don’t always act in our own best self-interest. And when we get into groups we don’t always make better decisions. Sometimes we build entire organizational practices that are nonsensical, counterproductive, anachronistic, and/or that we ourselves would not want to be subject to. Case in Point; Performance Management. let’s take a user perspective rather than a managerial perspective. After all, they should be the same thing, right? It’s always a good idea to start with the client in mind and, under this perspective, the contributors we are seeking to encourage to high performance would be our clients. This perspective can be best understood by the concepts of Servant Leadership. Here’s an overview of servant leadership if this term is new to you. Most performance management techniques revolve around 2 axis; rewards or penalties. On the rewards side we can call it salary, bonus, compensation, or whatever. But generally people are incentivized to high productivity via rewards. The flip side are penalties which could range from reduction or absence of rewards to reduced or eliminated security, status, and stability. In Daniel Pinks excellent book Drive: the Surprising Truth About What Motivates Us (and eponymous TED Talks), he reveals that the research say unequivocally no. Rather than re-state Pink’s message (see above 10 min video for a great overview); Rewards don’t work the way you’d expect them to. It turns out that after a certain amount of compensation, rewards are actually counter-productive in terms of increasing performance in any endeavor requiring a modicum of cognitive skill. After that magic level of compensation, people require other attributes to be present in order to Got that? In other words, if you want higher performance, you have to pay people enough where they aren’t worried about money but then you have to enable 3 other key attributes; autonomy, mastery, and purpose. Thus,the overwhelmingly most popular way of incentivizing performance, reward vs penalty, is wrong. if you want to maximize performance, it turns out that you must optimize for motivation. So, how does one do that? What’s the right way to handle performance management? If rewards are wrong (or at least only part of the story), then it seems we’d best change our performance management process to the other key factors Pink identifies; Autonomy, Mastery, and Purpose. Let’s take each one step by step. Per Pink, Purpose is each team member being able to say “I know why I am here and what I contribute with (as an individual or as a team)” How do we maximize a sense of purpose? So, as managers with a strong background in quality and strategic deployment techniques seeking to maximize performance, how do we maximize a sense of purpose? I like Simon Sinek’s approach of ‘Start with the Why. Again, if you haven’t seen this Ted talk, you’re missing out. If we want to maximize performance management, it behooves us to make the alignment of why behind what people are being asked to do explicitly clear. are in pursuit of things that don’t matter or don’t matter as much as other goals they could be working towards. And that is clearly a waste. If the next attribute in results is Mastery, then it makes sense to incorporate this into our performance management techniques. How can we best help people pursue and achieve mastery of their professions? visual management of team skill mastery and credibility as described by Ray Dalio in Principles. However, there are countless adaptations of each that we can apply to skill acquisition. Now that we’ve addressed how to manage clear alignment and skill acquisition – the why’s and what’s of a role – let’s move on the how’s. Now, autonomy is scary for many managers. To overcome this hurdle we could use a ‘trust but verify’ model of cascading dashboards and assigning responsible parties for work streams. And the autocratic manager will be happy with this. But autocratic leadership has it’s limits. Perhaps the best way to encourage autonomy to meet our desired performance management goals is to favor the empowerment of a Team of Teams model such as the ones favored by General Stanley McChrystal (and others) in his book Team of Teams. Autonomy is best served by employee empowerment. There is a link between employee desire to participate on autonomous teams and having a significant sense of ownership in team outcomes. Simply put, members of autonomous teams desire the ability to make decisions in an entrepreneurial climate without too much managerial interference. And arguably employee empowerment is best achieved through managers leading by illustrating a clear vision and then getting out of their way. As leaders it is important for us to recognize that performance management is itself a process. It’s subject to an equation Y=f(x) where f(x) is often more complex than we think. But fortunately, like any other process, it can be measured, faults found, and hypotheses tried, tested, and improved upon. The current performance appraisal methods have been hardly criticized in the last years, especially in the era of agile companies and continuous innovation. In the following article we will share some ideas and tips on how to adapt to your specific company culture. Performance appraisals are the most common performance measurement strategy. A performance appraisal is a systematic and periodic process that assesses an individual employee’s job performance in relation to certain objectives. Neverthless, several studies have been showing that the effectiveness of the current methods is not clear, as employee’s habits and company cultures have been changing and need different incentives to work better. What are the main cons of a performance appraisal? Frequency: Performance appraisals are usually done annually or quarterly. The frequency of feedback should not be defined by a standard, should be defined based n the specific need of the employee and his/her supervisor. Periodic evaluations usually generate more frustration that satisfaction to the employees because as it’s based on past performance and it’s general, it doesn’t help to actually change behaviors in the future. Millennials expect continuous feedback on each situation that helps them improve performance on the near future. Specificity: appraisals tend to be general as they are the only opportunity throughout the year to formally discuss how we are doing. Clearly many items cannot be discussed, so supervisors tend to choose only a couple of hot topics, very good or very bad based on the general evaluation. So they really don’t tackle specific strategies for improvement, but simply try to confirm what we already know: we are in the top 10 percent, or just out of it. So 90% of the employees just get frustrated, while the other 10% get anxious about keeping the top for themselves on the next review. All the employees have the appraisals at the same time, so instead of a real opportunity to improve, it becomes another item on the supervisors To Do lists, which they have to do as quick and neat as possible. While for the employee, it may be the opportunity they have been waiting to showcase their results or received some praise for their work. A performance appraisal is usually focused on individuals, without considering the system or the team. Agile organizations are more prone to work in teams, so individual measurement may be counterproductive. It may impact team collaboration and promote competition instead, to achieve the individual results agreed in the individual discussion. Subjectivity: No matter how well defined the dimensions for appraising performance on quantitative goals are, judgments on performance are usually subjective. There are always winners and losers: When salary increases are allocated on the basis of a curve of normal distribution, which is in turn based on a rating of results rather than on behavior, competent employees may not only be denied increases but may also become demotivated. Performance appraisals turn to be unfair trying to fit everyone in the bell curve. As peter Scholtes says in Total Quality or Performance Appraisal: Choose One, “Improvement efforts should focus on systems, processes, and methods, not on individual workers. Those efforts that focus on improving the attentiveness, carefulness, speed, etc., of individual workers — without changing the systems, processes, and methods — constitute a low-yield strategy with negligible short-term results”. Annual performance appraisals are pretty standardized, not very much open to discussion and done only once a year. They are usually time-consuming and generate a stressful situation supervisor-employee, so doing it just once a year “looks great”. But real coaching for behavioral change should be short, continuous and spread throughout the year based on the need. It can be positive or negative, but for sure it should be based on recent situations that allow the employee to take action immediately. Innovative companies should count on that to be able to adapt quickly to the changes in the environment. Continuous feedback doesn’t need to be based just on impressions or feelings, it can also be based on facts and data. Depending on the type of operation, leaders can use different tools to help employees ask for help or solve problems on the go, instead of hiding issue to avoid bad appraisals. Manufacturing companies can use run charts and graphics to evaluate trends and identify issues. Charts can show if the issues are systemic (all the lines are having delays due to inadequate maintenance) or individual (an employee is not well trained). In some companies, we suggest to do monthly audits with scores and detail action plans, to provide not only a fact-based measure but also a means to improve. The best way to provide feedback is making sure the employee knows it before the supervisor, and before it’s too late. Timely feedback can be done when the information and the performance are online and accessible to everyone involved. Measures can be done by the employee himself, or through IT. For example, online retail agencies can provide to employees with online information about customer satisfaction, delays or errors so that employees can adjust the service accordingly. Many companies have 5 stand-up minutes to talk about issues and potential solutions. performance measurement should be a tool to improve the team and organizational performance, not to blame employees or justify layoffs. It should help to know why a process is failing and what can we do about it, no matter who. So every measurement should not be used along with a root cause analysis and follow-up method. A performance appraisal tends to be so formal that is never done on the work floor but inside an office or meeting room. As it is not the normal workplace for the employee, it can be more stressful. If it is done on the workshop, it allows for a more direct discussion. It allows for a psychological safety for the employee, which promotes more innovation and reduces the sense of failure. You can even find more solutions on the floor than in a meeting room or a cold management report. As Edwards Deming would say, successful companies must also manage what cannot be measured (the data-invisible elements). A performance appraisal or any type of measurement is not bad per se, what matters is what you do with them. Good luck!! As a Baldrige Examiner, I like to begin my roundtable discussions with a review of the Baldrige Criteria. Category 5 of the Criteria focuses on the Workforce. The Workforce category asks how the organization assesses Workforce Capability and Capacity needs and builds a workforce environment conducive to Engagement and High Performance. The Baldrige Criteria defines High Performance as ever-higher levels of overall organizational and individual performance, including quality, productivity, innovation rate and cycle time. It involves cooperation between management and the workforce; cooperation among work groups and teams; empowerment of employees and building personal accountability. It may involve learning to build individual and organizational skills; creating flexible job design; decentralized decision making and making decisions closest to the front line. Systems & Structures supporting compensation, benefits and policies, rewards, recognition, as well as incentives to encourage continuous improvement, intelligent risk-taking, innovation and customer focus. For more information about these key business and workforce processes, I highly recommend learning about the Baldrige Excellence Framework and attending Baldrige Evaluator training. 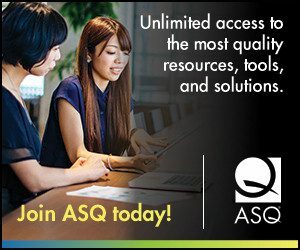 Author Shannon ConnellPosted on December 19, 2018 December 21, 2018 Format GalleryCategories ASQ, Baldrige, career, culture, Influential Voices, Quality, Strategy, transformation, Uncategorized1 Comment on What is the Most Effective Performance Management Approach?